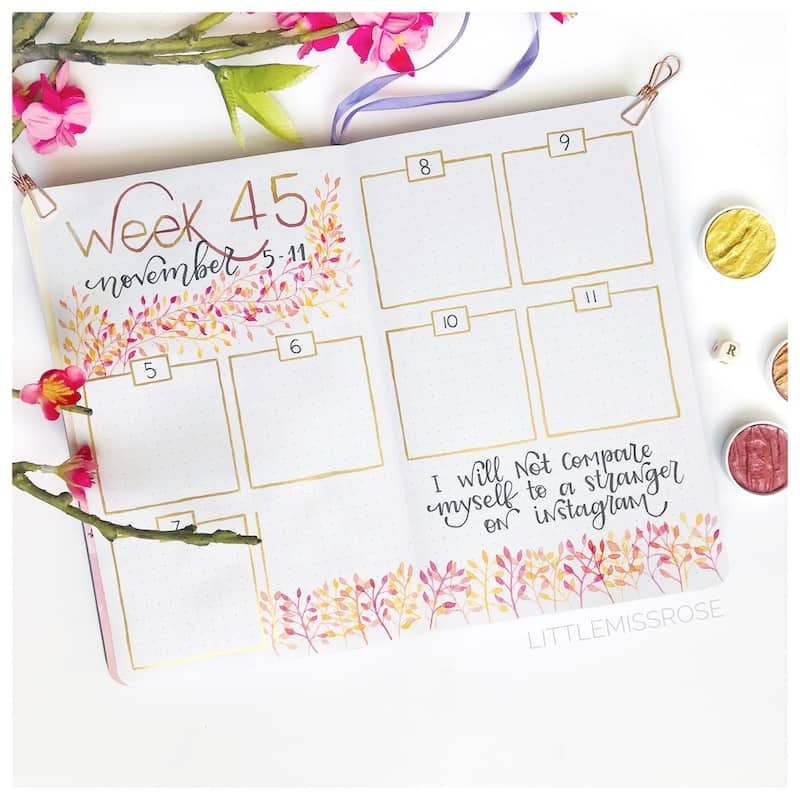 First off I planned out my weekly layout using a pencil. I don’t have a lot on this week and wanted to keep it simple, so I’ve just created 6 boxes for Monday through Friday plus a box for the weekend. I’ve added a little box at the top of the daily boxes for the date. 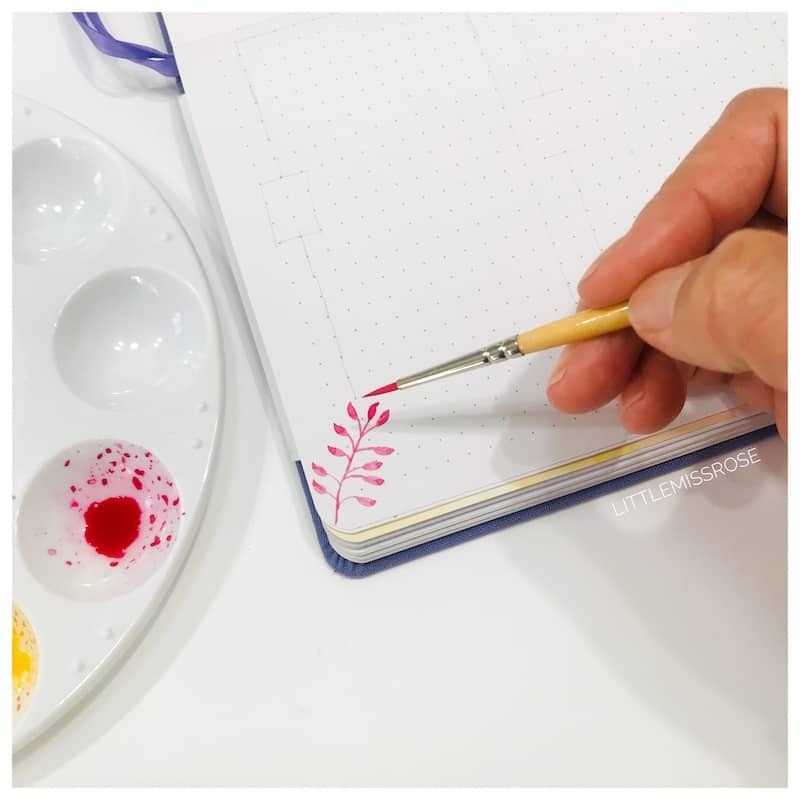 I left a blank space along the edges of my pages, this is where I’ll be painting my fall leaves. 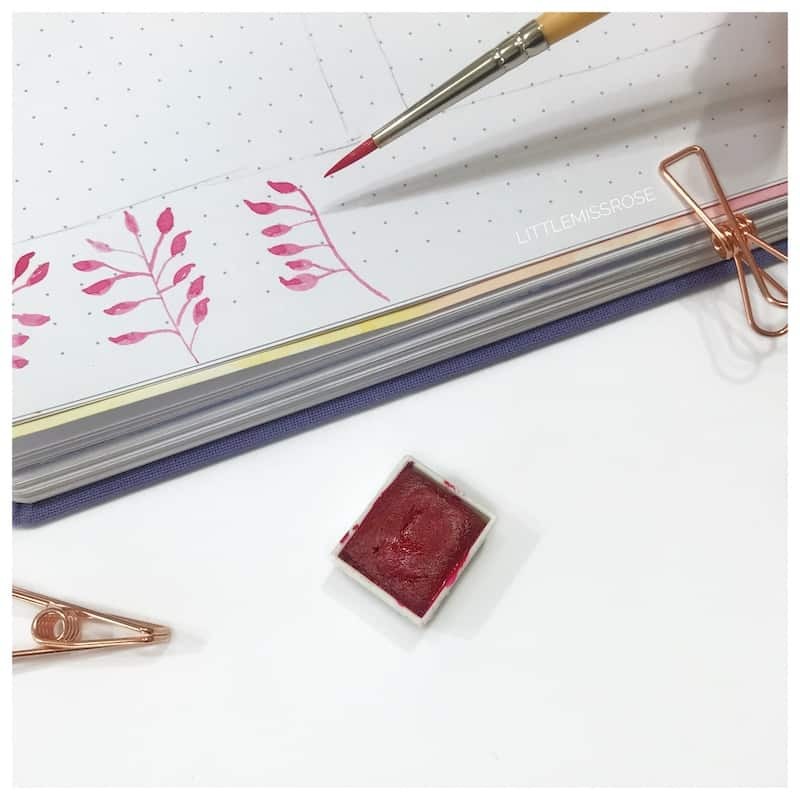 I added some of the dark pink watercolour paint from my Tropical set of Prima Marketing Watercolour Confections to a palette and mixed this with a small amount of water. The more vibrant you want your paint to look, the less water you should use. Using the very tip of your brush, paint a very fine branch. Add leaf shape to the end, then add more stems and leaves off of the main branch. 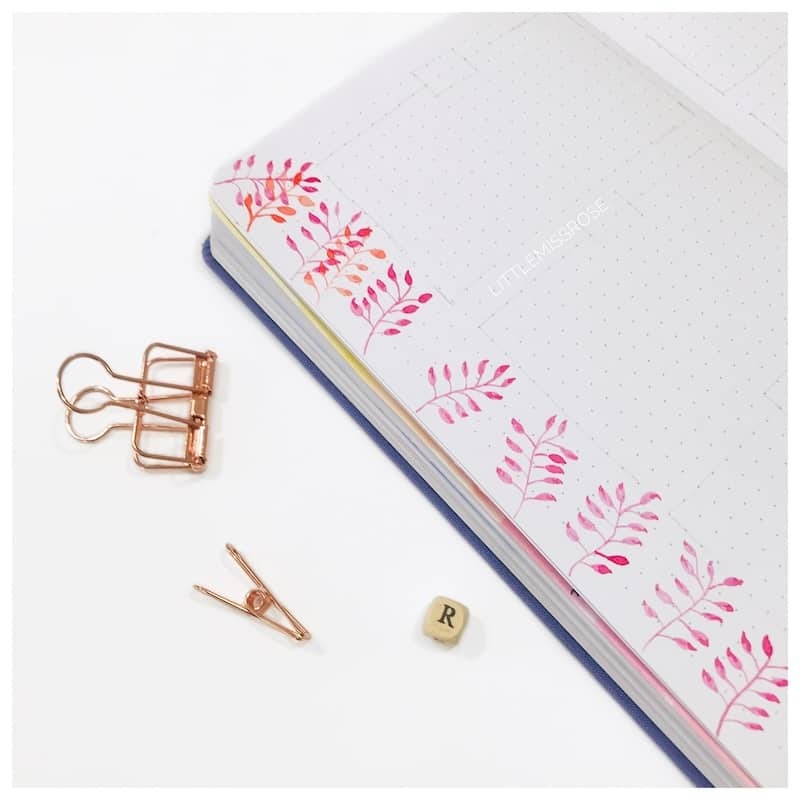 Continue painting these little branches of leaves along your page, leaving about a 1cm space in between the branches. Vary the way the stems and leaves come out of the branch. You may also want to create branches that “sway” at different angles. 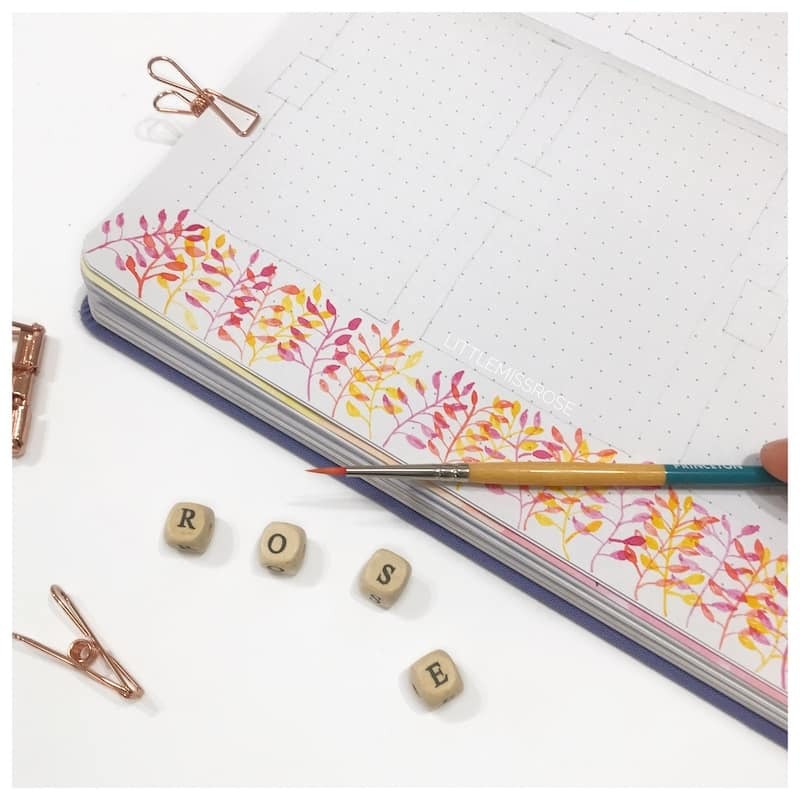 Once your page is full of dark pink leaves, repeat the process using the orange paint from the Tropical set. The orange leaves should overlap the first set of fall leaves that you’ve already painted. Make sure to leave space for the final layer of autumn leaves. After your layer of orange leaves, add a layer of yellow leaves. These should fill in the gaps. If you find you still have gaps, just fill it in with any colour fall leaves you feel like. The best thing about painting these autumn leaves is that they don’t all have to be the same or perfect. 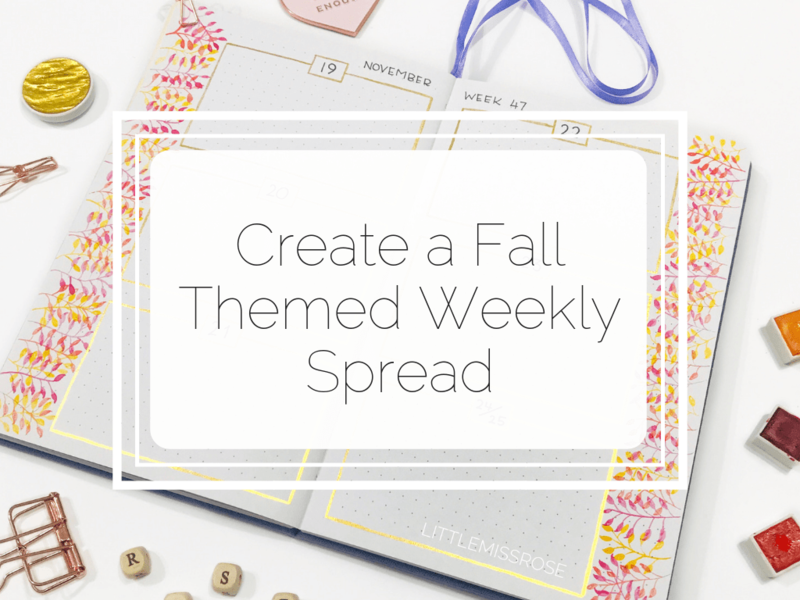 Now that your pages are decorated with fall coloured leaves, you can complete the details of your weekly spread. I’m totally in love with the shine and colour of Coliro Pearlcolour paints at the moment, and I think the Arabica Gold colour goes perfectly with this fall theme. So using my brush and the gold paint as per the instructions, paint in the outline of the boxes. 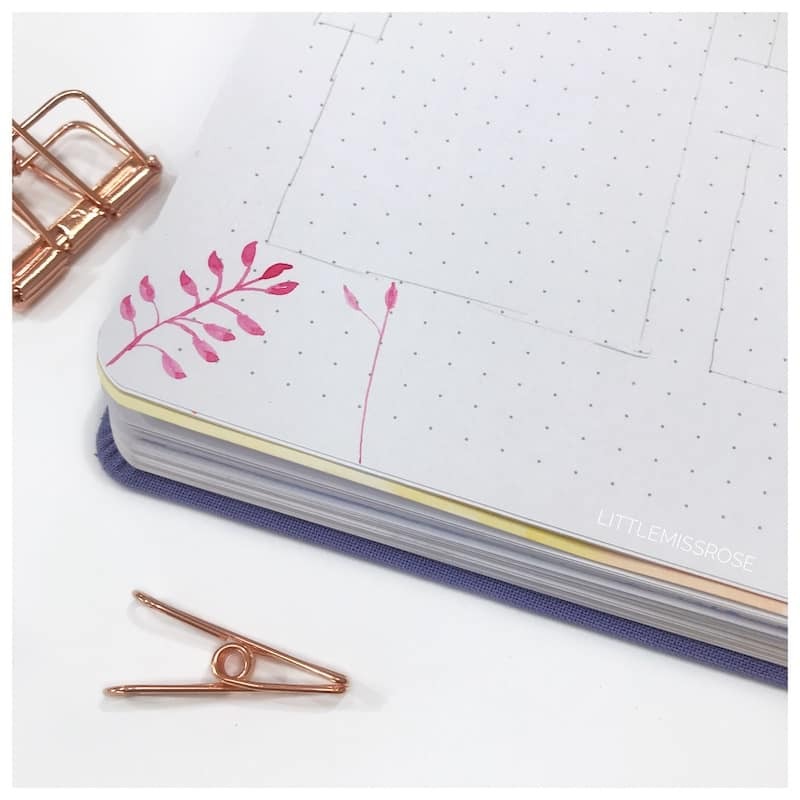 Add in the month and dates using a black fine liner and your fall leaves weekly spread is all done and ready to go!! 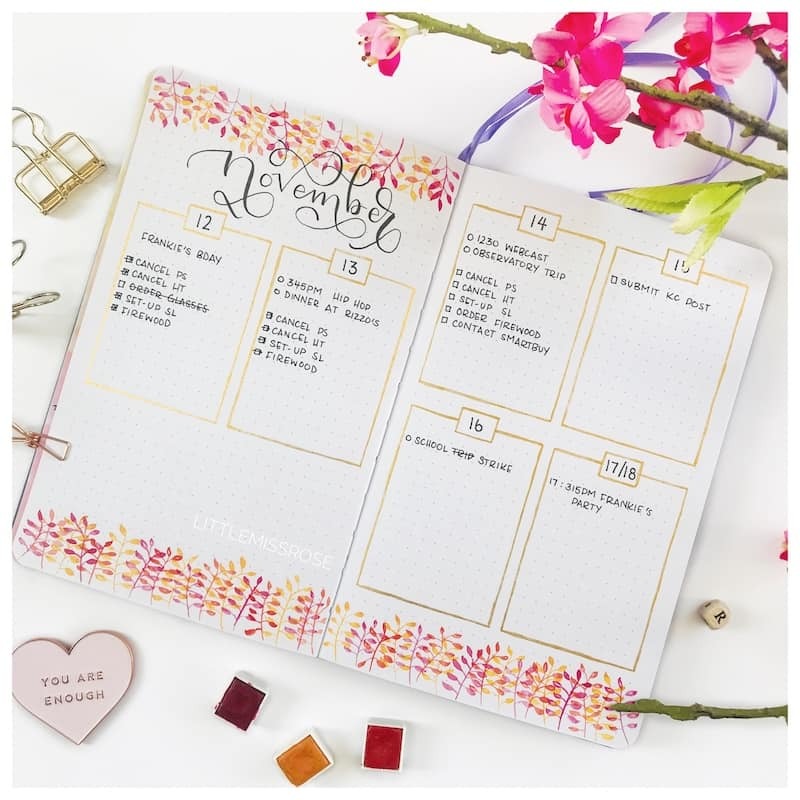 Try changing the layout of your boxes to create different weekly spreads. 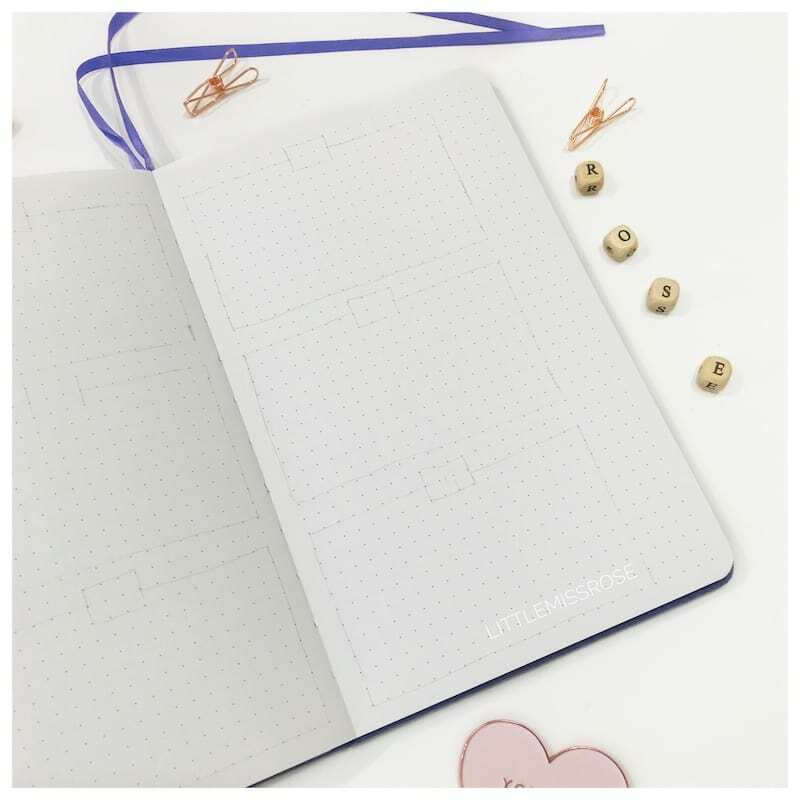 If you have blank spaces you can fill them with quotes or doodles, or just random notes. 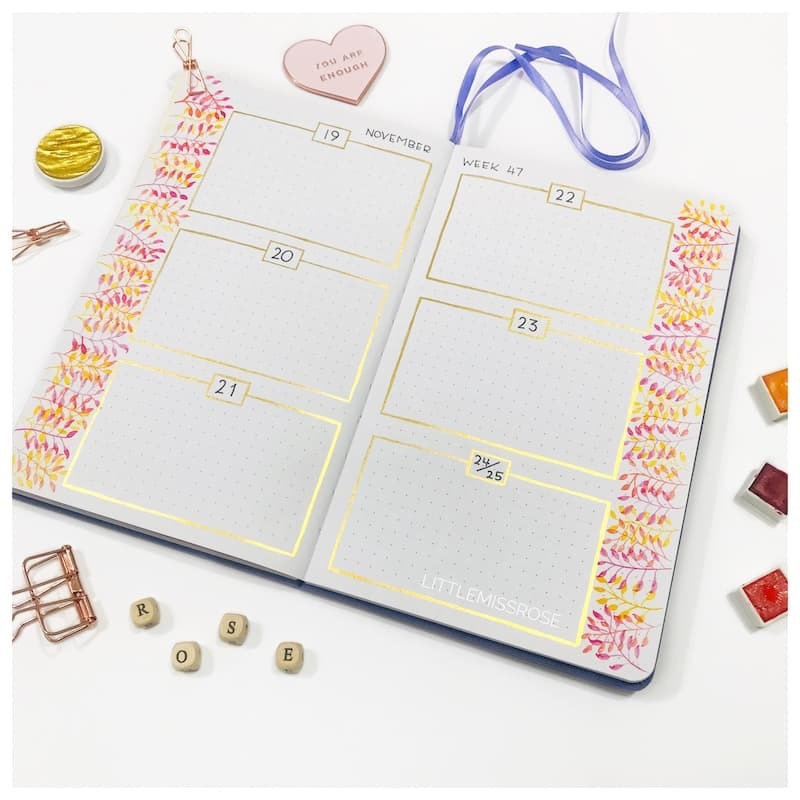 Here are some weekly spreads I’ve used already during the month of November. 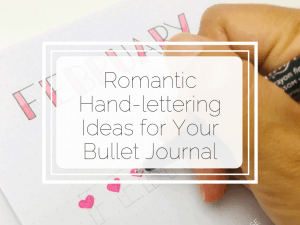 Hopefully this quick tutorial has given you some inspiration for a fall themed weekly spread in your bullet journal! 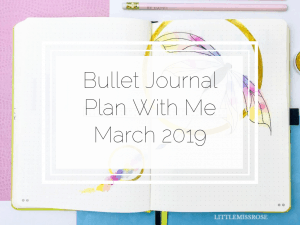 If you give this a go in your own bullet journal, please tag me or email me your pages so I can see. 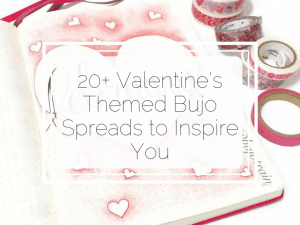 I LOVE seeing your work! 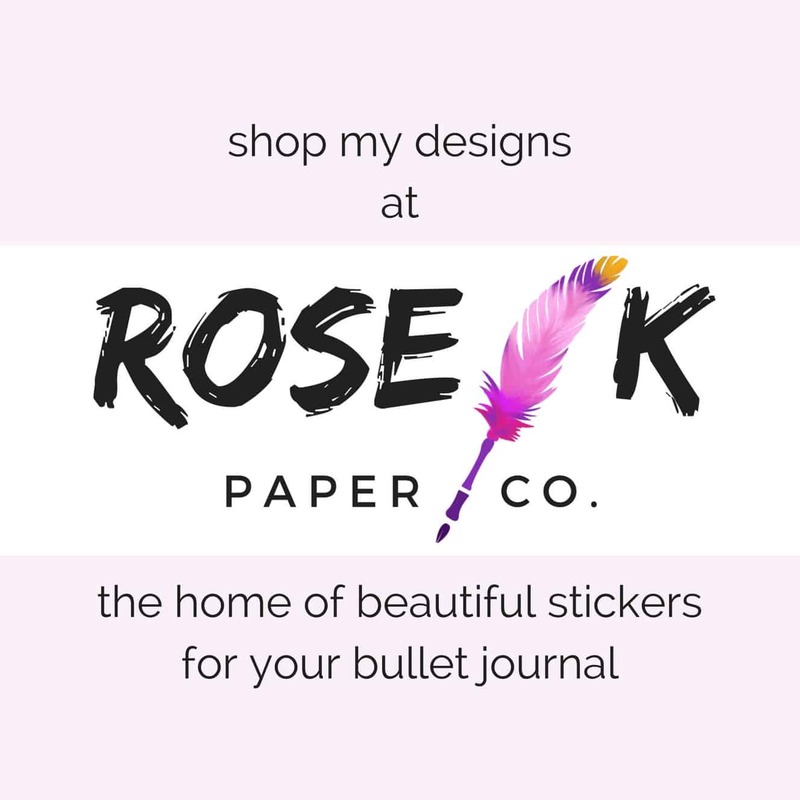 Hello – I have just found your website – I spotted a rather cool “waitangi” element on someone else’s page, and it led me here… I’ve just discovered bullet journalling, so it was cool to come across someone clearly from NZ as well! 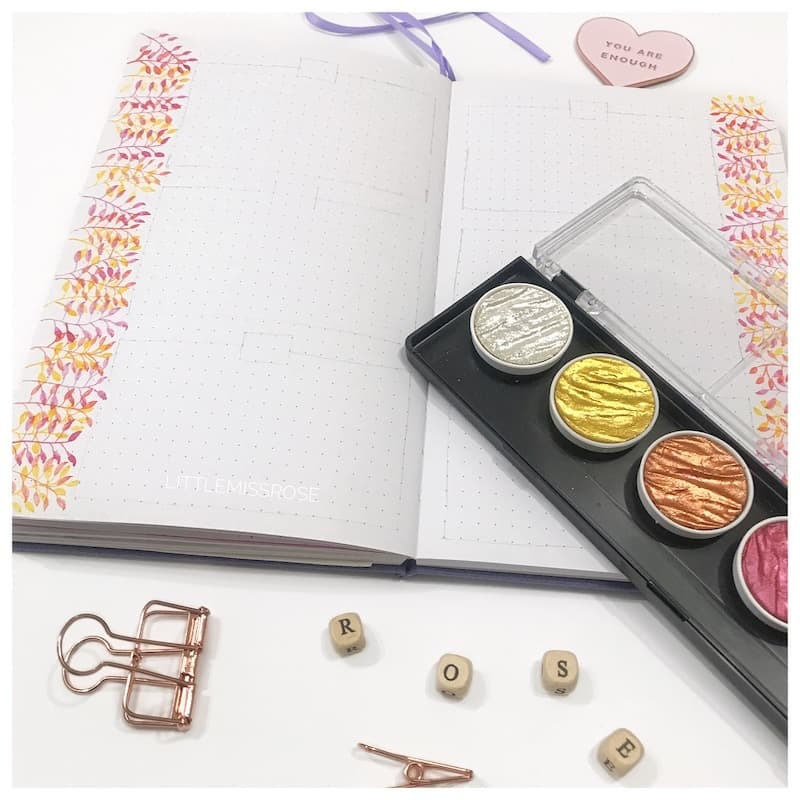 I really loved this tutorial – the colours especially, and the gold! sigh..! Anyhoo – think I’ll be dropping by frequently. Hi Kelly! A bit of a late response, but thanks for dropping by! !